Prepare for exciting news! Dying Light 2 has been announced at E3 2018 and is available for pre-order at GAME. E3 2018 has been incredibly exciting and Dying Light 2 is another video game that we can’t wait to see more of. Don’t miss out and pre-order Dying Light 2 today! E3 2018 has had some exciting announcements, and this is another one to add to the list! 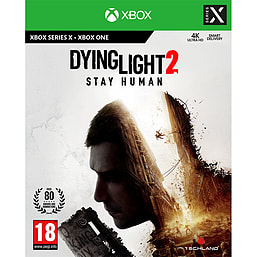 Dying Light 2 is now available for pre-order at GAME. This year’s E3 has been one of the most exciting yet with surprise announcements and huge game announcements, and this video game is another one we simply can’t wait for. Can’t wait? Pre-order your copy of Dying Light 2 today and start the countdown!